If you are in the market for a door replacement in Elmhurst, then you may want to learn more about your different door options. One of the most important things you will have to consider is the material of the door. Different materials offer different advantages, so it is important to know what your options are. Understanding each material option will allow you to choose the door that works the best for your needs. A steel door is going to be heavy and offer superior security. It is hard to kick it in or otherwise batter it. In addition, it is incredibly durable and long lasting. You may need to make some adjustments to your door frame, though, during installation by The Door Store in Villa Park, IL, just to ensure the door is securely installed. Wood in a common door material choice. It has a warm and inviting look. It also comes in a variety of styles. Wood is probably the best choice if you have a historic or traditional style home. However, it does not stand up well to weather and requires maintenance to prevent rot, breaking and issues with shrinking or expanding that can lead to fit problems. 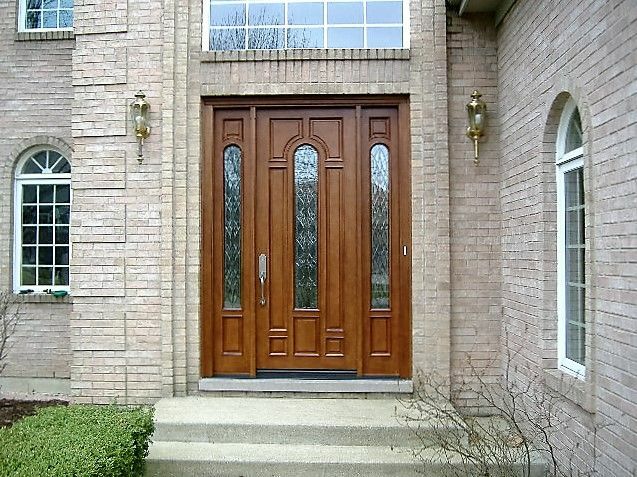 Another option to consider for your door replacement in Elmhurst is fiberglass. This material is durable and strong, like steel, but weighs much less. It also can be easily customized, like wood. When considering your different door material options, it helps to remember that you want your door to match the style of your home. Some materials work better for certain styles. In addition, you should think about the design options and details, like if you want windows in the door. Finding the right door material for your door replacement in Elmhurst really comes down to your personal choice, but knowing your options can make that choice much easier.